If you are looking for extra space in your van but don’t want to go to a larger van then an elevating roof is the way forward. It can be put up in seconds when needed and creates extra headroom for taller individuals and also offers you more sleeping space, whilst keeping your vehicle low enough to go under most height barriers. We use Reimo and SCA roofs as our premium product offerings. They are both leading manufacturers of high-quality sleeper roofs, pop up roofs and high roofs for vans. The roofs are characterised by their advanced engineering and excellent quality. Both Reimo and SCA roofs are fully TUV rated. Available to suit most vehicles small to medium sized vans, in SWB or LWB sizes and usually with a few options available, we can help guide you towards your perfect roof. All roofs can be colour coded to match your van with a solid or metallic finish. SCA roofs feature a separate reinforcing frame, these take longer to install, the Reimo Easyfit has integrated reinforcement, drastically cutting the installation time and therefore the costs. This 3 section sleeping roof has an Integrated GRP reinforcing frame so no further reinforcement is necessary. Quality and Safety, fully TUV tested. Good ventilation from 2x mosquito netted side windows that open completely and a front film window on the 100% Cotton, Breathable canvas. Adds approx 7cm to the height of van, around 2oocm overall when closed. Standing height with roof open 195-245cm. Quality and Safety, fully TUV tested. Secure tumbler lock closing system, reinforced 15mm bed platform (size 240 x 120) and insulated panel covering access hatch for the LWB Versions. SWB Versions feature the secure twist lock closing system, slatted bed system (size 200cm x 120cm) and PVC Vanity cover to hide away when closed. Adds approx 6cm to the height of van, around 199cm overall when closed. We partner with Drivelodge roofs to offer a cheaper alternative to the premium Reimo and SCA products. Although not TUV tested, they all use a solid frame system and are excellent quality to price ratio. 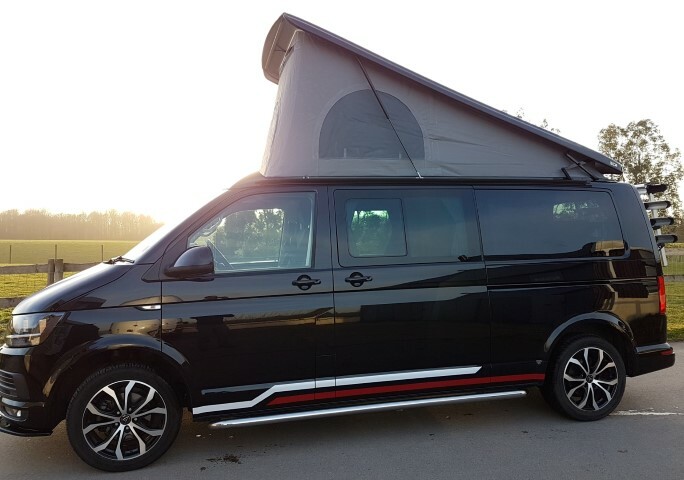 The New slimline VW T5/6 Elevating roof has been designed to be as aesthetically pleasing as possible whilst still being practical as well as affordable. 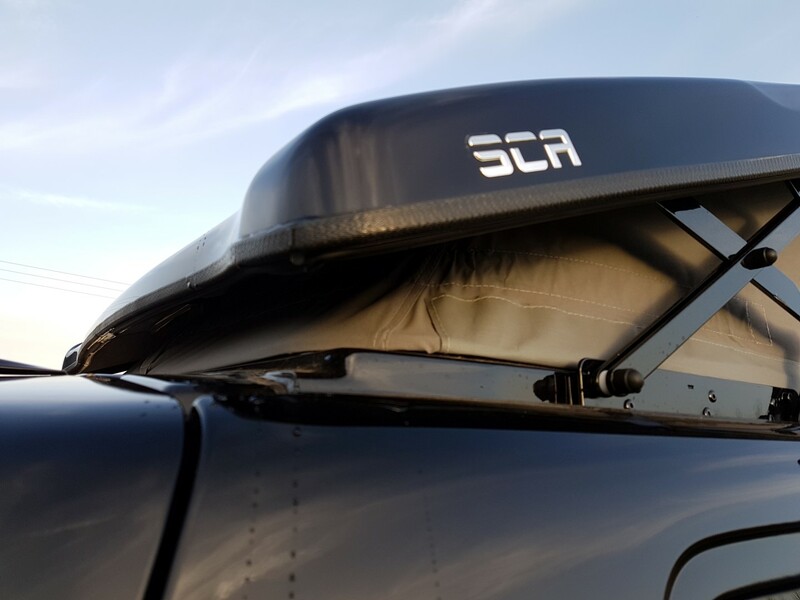 Be as slim as possible whilst still being mounted into the roof rack mounting points, this means the roof is attached to strongest points on the roof as also means that no headroom is lost inside the vehicle. This means the height of the vehicle with a Drivelodge roof fitted is well under 2m. Have a fixed front spoiler. Most of the VW roofs are full length and have a flimsy rubber strip across the front. By having a fixed spoiler, this means that you are guaranteed to have zero wind noise. Have 2 LED light flush mounted into the roof, with a concealed wire running through a pocket sewn into the canvas. Have no bolts coming through the roof. Not only does this give the roof a much better, smoother look, but also stops any chance of leaks. Stainless Steel scissor hinges. This means you will never have to worry about corrosion with a Drivelodge Roof. Single piece box section frame. As with all our roofs, we like to go over and beyond what is necessary when safety is concerned. All our reinforcing frames are made from box section and mount to the vehicle in various places to make sure the vehicle is as strong as possible. As with all Drivelodge Roofs, the roof comes with a 5-year Warranty meaning you have peace of mind knowing you will have trouble free camping for the next 5 years. At Drivelodge we pride ourselves on providing quality products, with quality checks all the way through the production process, you can guarantee you will end up with a quality product.